If you've kept up with my regular column about Japanese role-playing games, you likely know that one of my favorite games of the past few years is a charming RPG called Legend of Heroes: Trails in the Sky. The problem with Trails in the Sky, released last year for PSP, is that it ends on a cliffhanger. An annoying, compelling, Lost-like cliffhanger. And although there are several sequels that continue where Trails left off, none of those games have made it out of Japan just yet. 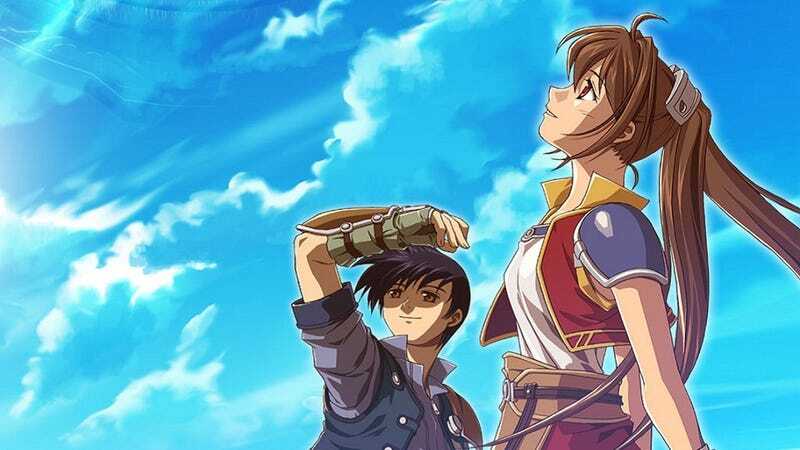 So last week in Los Angeles when I met with XSEED Games, the studio responsible for bringing games like Trails in the Sky to the U.S., I bugged them all non-stop about the RPG's first sequel, affectionately known to fans as "SC," or Second Chapter. Perhaps just to get me to shut up, Director of Publishing Ken Berry offered a glimmer of hope. "We haven't given up on it," Berry told me. "We're talking possible platform changes, a huge amount of text, technical issues... That one is still difficult." Okay, I said. Can you at least give us a hint about other unannounced Japanese games you might bring to the U.S. in the near future? "We will likely be announcing sequels to a couple other titles that we've released in the last year or two," he said. "Maybe in the next month or two." My guess? Half Minute Hero 2. Or maybe the sequel to horror-adventure game Corpse Party. Or the hotly-anticipated sequel to Fishing Resort. Paranoia, Madness, Suicide and Cannibalism; Who Says 16-Bit Can&apos;t Be Scary?